As I was perusing some blogs the other day and I came across Larry Feralazzo’s blog talking about making infographics. Infographs are great vehicles for students to present information in an creative, effective and attractive way. Anyone can make an infograph with good information but to make it look attractive takes experience, lots of time and an eye for design. I’ve seen examples of student infographs and more times than not, they look pretty ugly which takes away from the overall effect. Here comes easel.ly. This website lets you create infographs right from the comfort of your own browser (sorry-no Internet explorer). It’s in the beta version which means there are still some bugs to work out, but click on past the break to see how to make your own with this free service. Getting signed up is as easy as any other site. Just give them an email address, create your username and password and then you’re in! Once you’re in click on the Get started button and a new window will open up with your canvas and all your tools to edit and create your very own infograph. Heck you don’t even need to sign up if you don’t want to. Just click that Get started button and you’re off. Signing in though allows you to save your infographs so you can work on them at different times (that’s handy folks). This service is very easy to use though there are definitely some rough edges. When your canvas first opens up this is what greets you. An infograph, quickly pointing out some of easel.ly’s features. On your menu bar we have Themes, Objects, shapes, text, charts, upload. You also have a color theme option (though it is currently not working but should be soon), zoom options, you can add a grid to help you place your objects and an undo button (though Command + Z worked fine for me on my Mac using Chrome). Let’s take a closer look at those options. Currently there are 4 themes to that you have to currently chose from. When you find one that can work for you, just click and drag it down to the canvas. A few seconds later you will have a pre made infograph waiting for you to edit. Once it is on the canvas all you have to do is click in the text boxes to change the text and you can select and move anything you want to do with the template. This is nice especially if the design is something you want to work with. The themes are OK but I found they did not really help me with what I wanted to do, so I started from scratch. In the top right hand corner there is a button that says Clear. When you click that a drop down menu will give you the option to clear the canvas. It doesn’t happen immediately so be patient and wait a few seconds. Now you have a completely clean canvas and it’s time to start building your infograph. Remember that infographs display information that can be measured. Whether it is a snapshot of something at one moment, something over time, whatever it is must be measurable. So let’s start with the background. Click on the Objects menu button and a new sub menu will appear right below the main menu. As you can see in my image, I already have backgrounds selected. If you don’t, the click on the choose category and select backgrounds. Once that is done click the background you would like to use and drag it down to your canvas. It will take a second or so but the background will change. You can change the background at anytime and don’t worry it will not change any other object you have placed on your canvas. So feel free to explore. Currently there are only 14 different background to chose from but I expect more as the service grows and matures. Changing the background is pretty easy but how about adding images and text? It’s not too hard either. To add text, just click the the get button. Like before a new sub menu will appear that will let you chose between adding a Title, header or body. Again, to get it onto your canvas just click and drag it where you want it to be displayed. To add text you just click in the text box and a new box appears where you can type. I do find this a little weird. Why not just be able to type in that box? Also, a few times the box I type into would not disappear when I was done. It just stayed there. It wasn’t hurting anything, but I found it a bit distracting. When you are editing your text you have a wide variety of options. There are some old familiars such as bold, italics, choosing from different fonts, size, color, etc. Then there are some that are nice to see they added. There is a clone tool which will duplicate any text or object you have. There is also the arrangement choices. Here you can but certain text/objects in front or behind others. It helps to easily bring a level of depth and layers that is hard to create otherwise. You can even control the opacity, great for creating a watermark effect. When adding an icon (they have lots to chose from and I get a feeling that more are on the way) it is very similar to adding the background. Click on Objects then chose what type of icon you would like. They have a bunch to chose from: people, food, transportation, banners, etc. Just like everything else, to get onto your canvas just click and drag it on to the canvas. You can also upload your own image and work with it as well which helps make your infograph stand out from everyone else’s. Now once objects are on the canvas it can sometimes be difficult to get it lined up just right but easel.ly has a solution for you. They have guides which show you when the object id centered with another object or aligned to it if it is above or below you. Check out the image below. You see that is line up just perfect. While it shows you the guidelines it does not snap to them. I wish it would, I spent too many minutes just trying to keep those icons all lined up and despite my best efforts I know I wasn’t 100% successful. Also being able to select many icons (like a row of 10 for example) and copy and paste all 10 at once was impossible. This I found a bit annoying as I could only copy and paste one at a time. However, it is easy to add, resize, rotate, place and adjust different icons. I found a good idea was to make a few different layers. So I had some watermarks behind objects and some text above them. Making your infographs is pretty easy but there will come a time when you need to call it a night and get some shut eye. To save your work simply click on the save button in the top right hand corner, give it a name and click save. If you already have a name just click the save button. Remember you must have an account in order to do this. It would be great if it autosaved your infograph automatically (like Prezi, GoogleDocs, Zoho and many others) but I guess we will have to wait for an update for that feature. Still it does save pretty fast and is not that much of an inconvenience. Just be sure to save before you close that browser window OK? After weeks of hard work you are finally ready to unveil your infograph to the world and you need to save it to your computer. easel.ly has got you covered. In the top right hand corner there is an Export button. Click that and easel.ly will let you export as a jpg, png (for transparencies), PDF (currently not working but will be soon) or an SVG (scalable vector graphic). I figure for most people the first two would do nicely. When you export it, instead of downloading to your computer it opens in a new window. From here you can right click and then save it to your computer. I wish it would give me some embed options so I could just drop it into my blog/website directly but again, I am sure this feature will be coming at a later date. Despite these imperfections, the program works pretty well. It only took me about 30-40 minutes to make the infograph below and while it’s probably not going to go viral it’s not bad. I didn’t have any real problems either. The program didn’t really freeze or glitch (expect for that text box thingy). It really allows students the opportunity to create something that has the potential to look good. It gives them all the tools they need and support they need to make something that is informative and attractive, while not overwhelming the user with too many options. 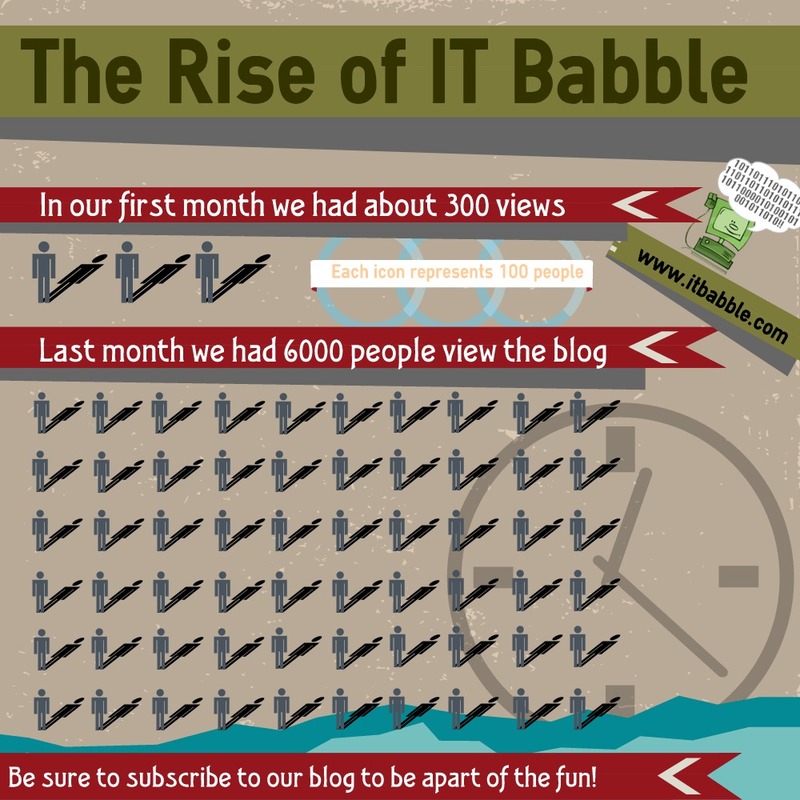 This entry was posted in Patrick Cauley, Review and tagged easel.ly, infographs, presentation, stats. Bookmark the permalink.